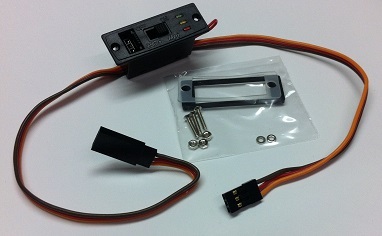 Super LED Switch Harness - for RC receiver use. LED Switch Harness - for RC receiver use. Heavy-grade construction; has LED battery voltage indicators on surface. Includesmounting hardware. 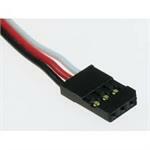 Compatible with 4.8volt and 6volt Rx systems. 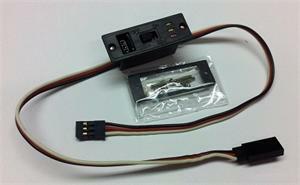 Choose Futaba or JR-SPEkTRUM-HiTEC-Z style connectors. Y-Connector, 6" long. Made with 3-color 22-gauge wire. Has 1 Male connector, bridging off to 2 Female connectors. Choose Futaba style (red, black, white) or SPEkTRUM-JR-HiTEC-Z style (red, brown, orange).